Since its launch four years ago, #FASHIONTECH Berlin has become one of Europe’s leading C-Level tech conference for the fashion industry. Held at Kraftwerk, a former power station of the 1960’s and part of Berlin’s more famed night time haunts the techno club Tresor, its location is a perfect setting to explore the future of tech through the lens of history. One of the most impressive talks at the January edition of the conference came from Ana Andjelic, Chief Brand Officer at Rebecca Minkoff. Selected by Forbes as one of their Top 50 CMO’s in 2018, Andjelic spoke about fake vs real online and why fashion tech brands need to focus on doing three things: creating content, building community, and forging collaborations. We caught up with her to hear more about her day to day, the future of luxury and tips on how to stay relevant in the retail landscape. Great to be here with you Ana. I just wanted to start with your role as Chief Brand Officer (CBO) - what does that entail? The role of CBO is somewhat a new role, not just for the company but overall in the industry. Forbes picked that up and put me on the list of top CMO’s who are defining the role and the reason why I’m bringing that up is because I don’t have the traditional management role that people usually bring to C-level. Most people spend a lot of years as a project manager or in operations or an organisational role but my role was a strategist. For me the most important thing is to really look at how to position the organisation both for the present and for the future, and how to make it first relevant in modern culture and second bring growth to the business. These are always my mantras. The first thing I did was to break down the silos between the people that report to me [PR, social and partnerships departments], so that everything works together. That’s a big operational and organisational component but also a huge part of brand building. "Even if people can’t really afford your product they still want to be part of that purpose and mission. That’s why ⅔ of millennials are buying from a brand that stands for something." How has the Rebecca Minkoff brand evolved since you joined? Oh rapidly. When you break down the silos and move people around everything is changing fast. But at the same time you don't just break things. You offer people a new vision. This is what we we should all be excited and motivated about and that is the most important part. You need to put forward the vision and the strategy and then, the most important thing - you need them to to feel like they're part of it. Everyone has to feel like they are all contributing in some way. That for me is the critical part. For everyone to want to be part of the vision. It’s not going to be a success unless you excite people about what you’re doing together. How do you define ‘luxury’ today? How has the meaning of luxury changed in the past few years? Luxury is like this moving target! Is luxury having a New Yorker tote bag that tells people you’re a super intellectual and you’re really plugged in? Or is luxury insider knowledge like knowing when a drop is going to happen? For me, if you had to boil it down to one thing it's all about about uniqueness. Uniqueness of experiences, products, of knowledge and access. Overall though, I think it’s access because now luxury has become education - what you know and how well you eat and how refined a lifestyle you have and how far you are on the self-actualisation pyramid. Do you think that’s very different from 10 years ago? Of course it is! Luxury was all about opulence. Even then you could probably argue against that but of course it was about conspicuous versus the invisible today. Social media makes visible things that are very intangible, things like meditation or wellness. Some online feeds are full of what people are eating, their meditation corners, etc. Now, somehow you need to make these intangible things visible. Luxury used to be in your face and so tied to material means. I do think it’s still very tied to material means, but the outcome is something spiritual and individual. Which actually, is very ironic I would say. You need to have a lot of money in order to have a simple life. What about the customer? Who is the luxury customer today? What are their habits and behaviours? Shopping happens everywhere and there’s an expectation that you’re going to have easy access, but the journey between inspiration and purchase is super compressed. So you see something on Instagram and you want it immediately but before, Instagram was just an image scrolling platform. Every touchpoint is now a commercial touchpoint and can be your conversion. Everything needs to work harder, so that’s one new behaviour. Then the second is people not spending. But even if they are not buying the product they want to be part of the brand. They want to be part of the community, the conversation, of that content. So even if they can’t really afford your product they still want to be part of that purpose and mission. That’s why ⅔ of millennials are buying from a brand that stands for something and the behaviour of consumers changes the behaviour of the brands. They need to put a social mission front and centre. 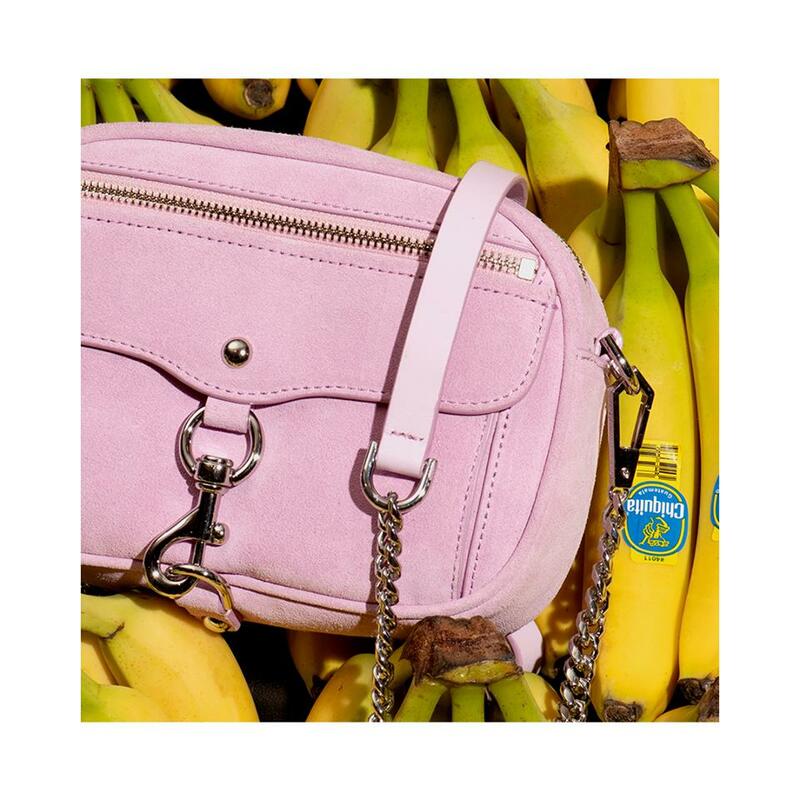 Last year Rebecca Minkoff launched a new proposition (I Am Many) and the Female Founder Collective, a platform for female business leaders to connect and support each other, socially, legally and economically. The content on RM’s website has also shifted from solely fashion to anything that the modern day woman is interested in – wellness, nutrition, parenthood, work and travel. What’s the strategy behind this move? This was my brainchild! I knew that there was a lot of female activism happening when we were building this as a platform but what I found was that there was something that was holding it back, in a way. Bands like Tory Burch, DvF, even Sheryl Sandberg were ‘like do this, do that, lean in!’. It was more aggression and I think that we live in a collaborative society where empathy is super important. Women have a lot of empathy, so it seemed like a shame that for women to succeed they would have to behave like men. I wanted to point out that they can succeed by behaving like women too, and that there is a strength to being many things at the same time. You may be a yoga teacher, an activist, a board member and a mother, all those different roles but also feel different emotions. You can bring the emotions of motherhood into the boardroom and achieve more, or you can bring the strength of the boardroom to your family or the playground or whatever else you are doing. It's about that cross pollination of emotions and skills that are from specific contexts and how that context is taken from one to the other. And yes, one woman can be many things but it is also true that there are many women, so even if you don't have the skills, someone else does. And by coming together and offering complimentary skills we can achieve what we want and achieve more than just doing it by ourselves. Achievement in the US is still viewed as this individual thing - there is only room for one of us - that is very old school thinking. With I Am Many, we want to say ‘No no, let’s come together. Together we can achieve whatever we want and also have each others’ backs.’ It used to be that fashion and feminism were about putting on a jacket and feeling like you’re a superwoman. Now, you put on a jacket and you belong to a community. We launched I Am Many in September 2018 and our social following grew by 50k, mentions exploded, celebrity mentions exploded. It became a giant, a much needed push for the brand, really propelling it to the forefront of the conversation. The most recent BoF x McKinsey report on the State of Fashion reports that to stay relevant, most brands need to constantly reinvent and disrupt themselves. As one of the leaders in fashion brands embracing technology and new thinking, how are you doing that [self disruption]? I don't necessarily think fashion companies need to behave like tech companies. However, I do strongly believe that there are some organisational strategies and behaviours that can be adopted from tech business and applied to the fashion industry. Things like collaboration, breaking down of any silos and introducing processes that are about knowledge exchange. You can cross pollinate organisational forms from one industry and put them in another and we are doing that to make sure we reinvent ourselves and stay relevant. What’s your advice for other brands trying to stay relevant in the current retail landscape? Staying as close to the consumer as possible!